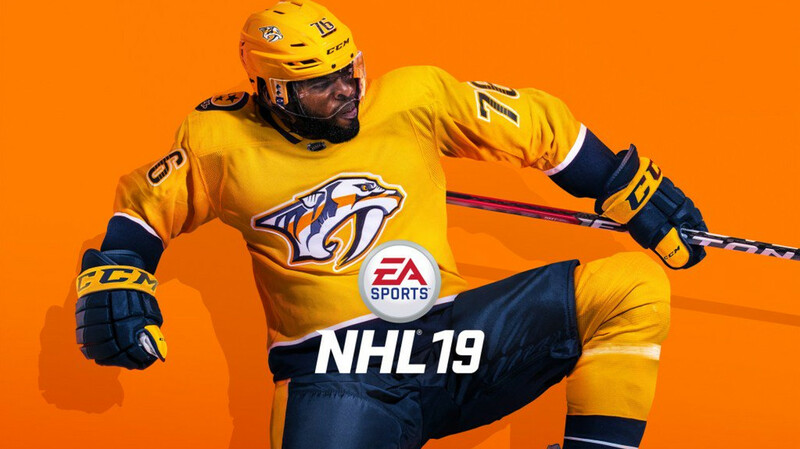 EA Sports today unveiled NHL 19 during the NHL Awards broadcast and followed it up with additional details on features. While the game doesn’t appear to be transitioning to the Frostbite Engine it will instead have outdoor rinks, Real Player Motion (all of the EA Sports titles this year feature the new animation technology), and NHL ONES (1v1v1) will join the NHL THREES arcade mode that debuted last year. Nashville Predators star defenseman P.K. Subban, who has been the subject of trade rumors already this offseason, will appear on the cover of the standard edition. Wayne Gretzky represents the Legends Edition which will include 20 HUT packs distributed over 20 weeks. NHL 19 will release on September 14 for the standard version while those who pre-order the pricier Legends or Ultimate Editions will get it on September 11. For the first time in franchise history, step onto the pond and compete in the EA SPORTS Hockey League, NHL THREES, Play Now and the brand new modes NHL ONES and Pro-Am. In NHL ONES, you and two other players compete in a 1v1v1 free-for-all gauntlet. Showcase your skills and creativity with no rules, no stoppages, and no limits. With RPM Tech, Explosive-edge skating enables more control over how you generate speed using edge-work and crossovers. With all new animations, you’ll experience more responsiveness in acceleration, high-speed skating, and pin-point turns. Stand out on the ice with over 900 customization options from authentic NHL apparel to pond hockey lifestyle clothing from some of the biggest brands in sports. Express yourself like never before with thousands of combinations of fresh looks. Stay up to date with the latest NHL 19 news and never miss out on gear for your avatar. Play with or against over 200 hockey legends spanning 100 years of NHL history and build your dream team. Superstars of today’s game playing alongside historical figures of past seasons is a defining factor of one hockey.